These will be added in alphabetical order – to be as fair as possible. The author’s name is a link to their author site. One day while surfing the Internet for a professional editor’s group, I accidentally found a local fiction writing group, Chesapeake Romance Writers. I attended a meeting and I met writers in all stages of their careers. The group helped me realize that I did want to be an author, and it was my dream to see my name on the cover of one of my novels. Through Chesapeake Romance Writers, I learned how to plot, write, and edit a novel, and I also learned how to pursue an agent. I signed with Mary Sue Seymour at the Seymour Agency in 2006, shortly before Joe and I moved my parents and our sons to North Carolina. My dream came true when I sold my first book in 2007. Holding my first book, A Gift of Grace, in my hands was exhilarating and surreal. I am a pastor’s wife, with many interests. Frugality and saving are part of my life, Stamping is a outlet for my “artsy” side, Reading books and writing reviews are a passion for me. Writing a book is something I dream of doing. That is me. DJ Mynatt writes Inspirational fiction and devotionals. She is a co-founder of the community group: NaNoWriMo Inspirational Authors, a blogger and a book reviewer. Her current work in progress is a wonderful story aimed at young women who may be having a difficult time finding their place in the world. For more information about “Emma’s Christmas Quilt”, click the image below. JC Morrows writes what has recently become known as Christian Speculative fiction. She has been lovingly polishing her first book: “The Taken – Book 1 of The Andarii Chronicles” while working on other projects. Currently she is finishing up the novel she began last November as part of the NaNoWriMo challenge. I have always been fascinated by the Amish way of life and now write Inspirational Amish Romance. I am drawn to the strong faith of the Plain people and admire the importance they put on enduring family ties. Jolina Petersheim is the award-winning author of The Midwife and The Outcast, which Library Journal gave a starred review and named one of the best books of 2013. The Outcast also became an ECPA, CBA, and Amazon bestseller, and was featured in Huffington Post’s Fall Picks, World Magazine’s Notable Books, USA Today, Publishers Weekly, and The Tennessean. Jolina and her husband’s unique Amish and Mennonite heritage originated in Lancaster County, Pennsylvania. They now live in the mountains of Tennessee with their young daughter. Whenever she’s not busy chasing this adorable toddler, Jolina is hard at work on her next novel. 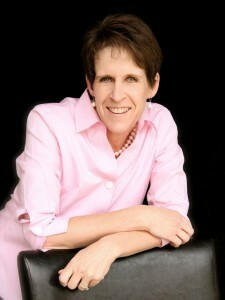 Laura is an award winning author, a pastor’s wife, married over twenty-five years and has five children. She homeschools, writes book reviews and books. Her books include Patchwork Dreams, A Harvest of Hearts, Promised to Another, Healing Love, Surrendered Love and Awakened Love. The Snow Globe will release in Sept. 2014 – and Swept Away in Nov. 2014. Mary Ellis grew up close to the eastern Ohio Amish, where her parents took her to farmer’s markets and woodworking fairs. She loved their peaceful lifestyle, respect for the land, and strong sense of Christian community. She met her husband in college and they married six days after graduation. They now live close to the largest population of Amish in the country—a four-county area in central Ohio. They often take weekend trips to purchase produce, research her best-selling books, and enjoy a simpler way of life. She was re-baptized by emersion four years ago and committed her life to Christ. Mary enjoys reading, traveling, gardening, bicycling and swimming. Before “retiring” to write full-time, Mary taught Middle School and worked as a sales rep for Hershey Chocolate for twenty years—a job with amazingly sweet fringe benefits. Rachel Miller is an author of Inspirational Amish fiction, co-founder of NaNoWriMo Inspirational Authors and a member of ACFW. She regularly attends writer’s conferences and enjoys connecting with other authors. Despite her name, she is not actually Amish but she enjoys reading about their unique culture and she hopes to reach out to young woman with her Inspiring YA Amish stories. Read more about her current WIP by clicking the picture below. The first thing you need to know about me is that I write Fiction full of GRACE. Every plot is different. The characters change. Some of my books are mysteries, others are novellas, and some are romances. But they all are stories of light, hope, and truth. Stories that at least for a moment touch the deepest places in our heart. Tales that whisper hope. That speak of family and community. That remind us of God and His love.